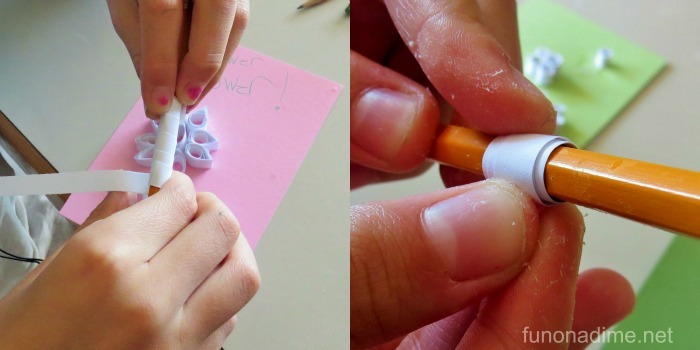 One of the things we learned about that was popular in Colonial Times was QUILLING. 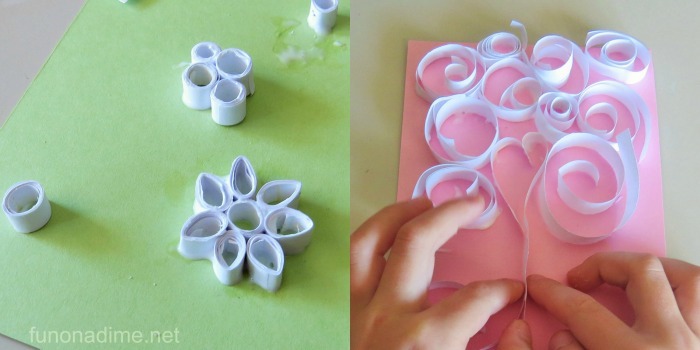 This is such a simple art activity that uses stuff you have right around the house. 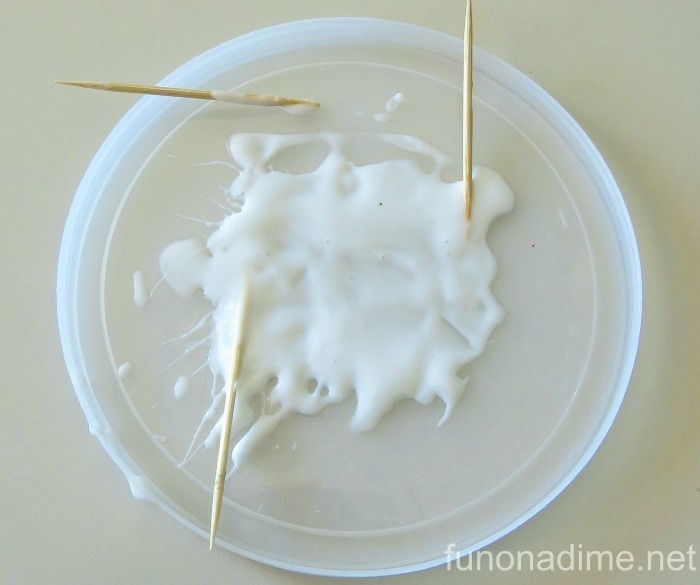 My kids had so much fun with this! 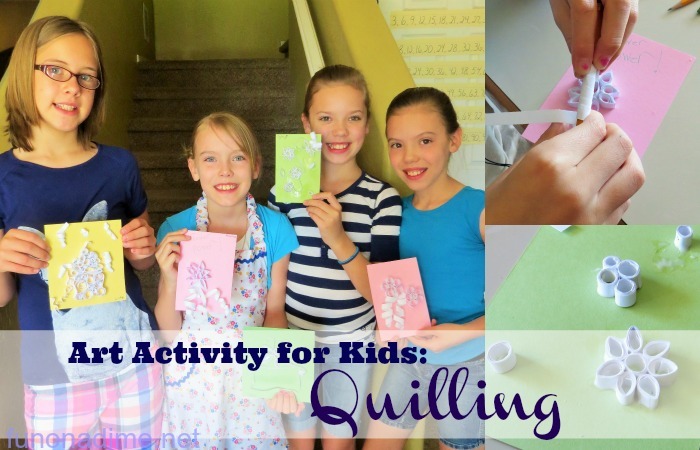 Before you start Google quilling and you can find lots of amazing art work to give your kids some ideas of what they can do. 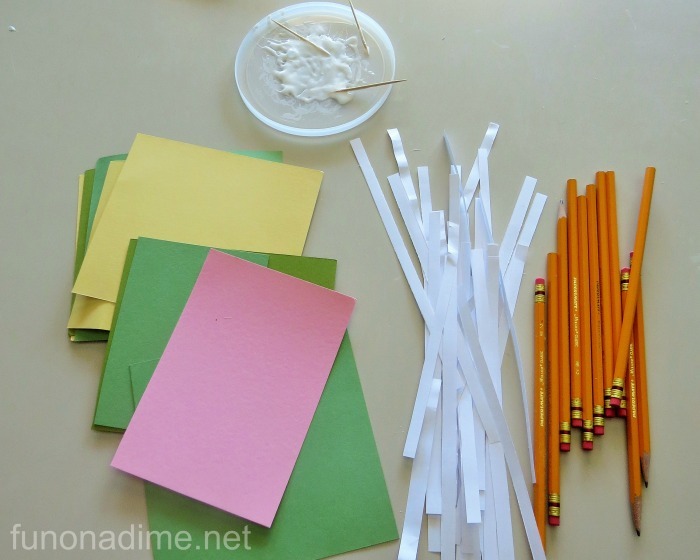 To start wrap the white copy paper strips around the pencil as tightly as you can and then slide it off the end of the pencil. 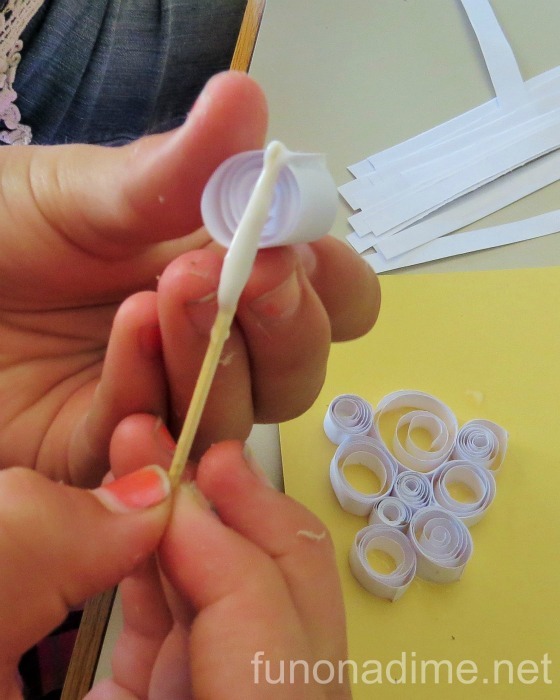 Next use a toothpick to put a little glue on the wrapped paper. Tip: I always save any plastic lids off containers (sour cream, yogurt, etc.) and put glue or paint on them when we are doing art. It washes off super easy and I don’t have to waste a bunch of paper plates. You can keep them as tight or as loose as you want after you slide them off the pencil. It just depends on the look you are going for. I love that with the same supplies you can get so many different designs. A lot of fun was had by all!! 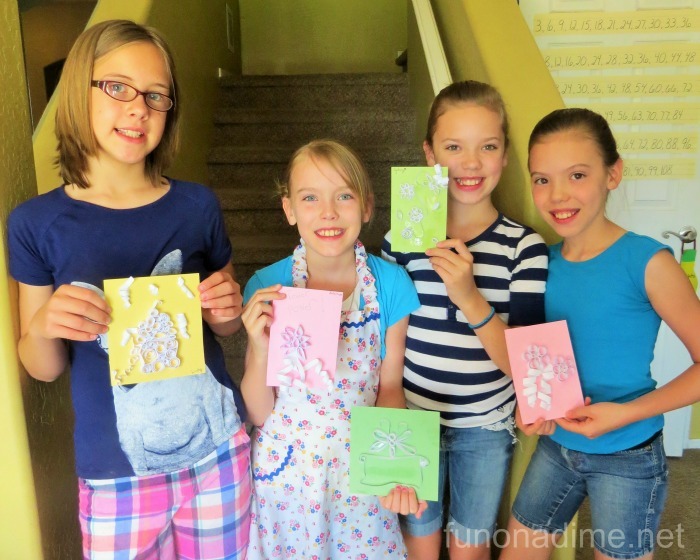 Try it at your house and share what your kids made!! I would love to see their creations.